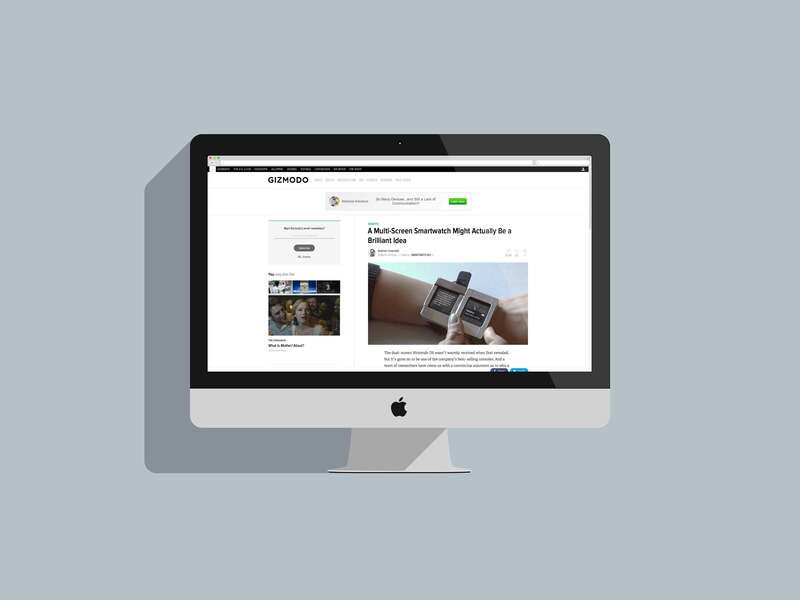 Teddy Seyed, Market Grade Technologist, featured in Gizmodo for Doppio smartwatch. The dual-screen Nintendo DS wasn’t warmly received when first revealed, but it’s gone on to be one of the company’s best-selling consoles. And a team of researchers have come up with a convincing argument as to why a smartwatch might actually be improved with two screens as well. What sets the Doppio concept—designed and engineered by Teddy Seyed, Xing-Dong Yang, and Daniel Vogel—apart from a device like the Nintendo DS is that the layout of its two screens can be constantly re-arranged to facilitate different uses. Rotating one of its screens 180-degrees would switch it from displaying a clock face to music playback controls, while placing them side-by-side would see the two displays working together as a single larger screen. The second screen could be removed and left at home for those times when you don’t need the two-screen functionality. Or it could serve as a tiny touchscreen joystick, turning the rest of the watch into a miniature wrist-worn gaming console. The only catch? Twice the screens will almost certainly mean twice the price, and smartwatches are already a pricey luxury.